Last month Chris and I were able to get down to Baltimore and sing with our old group, which was wonderful for a million reasons. Not least of which was the FOOD. 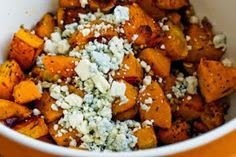 Our friend Nora made the most amazing squash dish with pecans and gorgonzola... Yum. Take a little inspiration from that visit, and a little inspiration from an upcoming holiday that shall remain nameless (not to mention a little procrastination on some pretty important projects), and I think you'll find that the next monthly North Country Shape Note Singing may also be a bit of a feast. But only if you come! No experience necessary. All our welcome. And no, we don't care if you "can't sing."